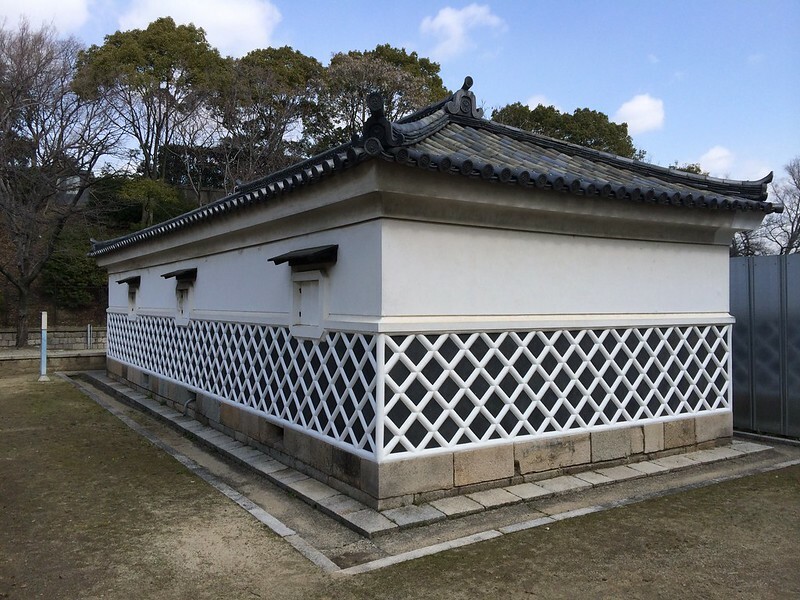 placed under direct control of the Tokugawa shogunate, this building was used as a storehouse, keeping a large amount of gold and silver coins. 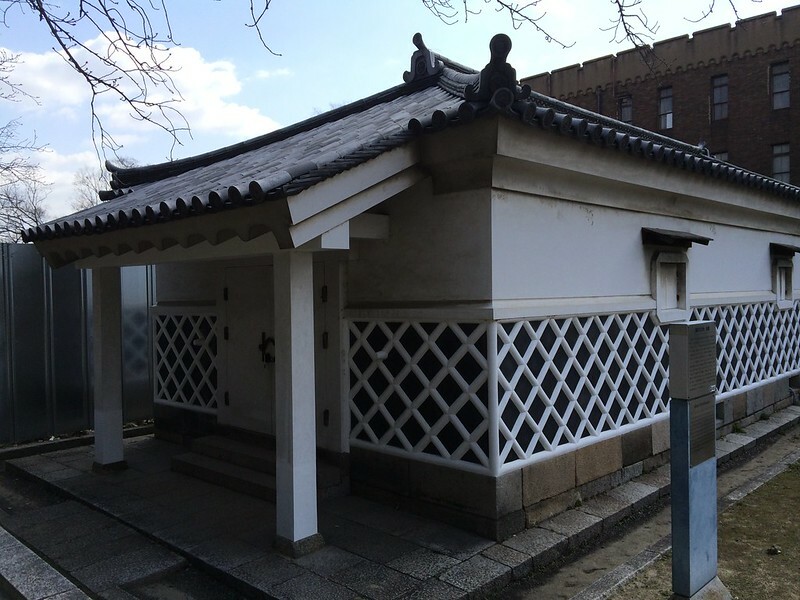 It was built in 1751 and called shin-gokinzo, or new kinzo, in order to distinguish it from another kinzo building built earlier, which was called moto-gokinzo, or older kinzo. 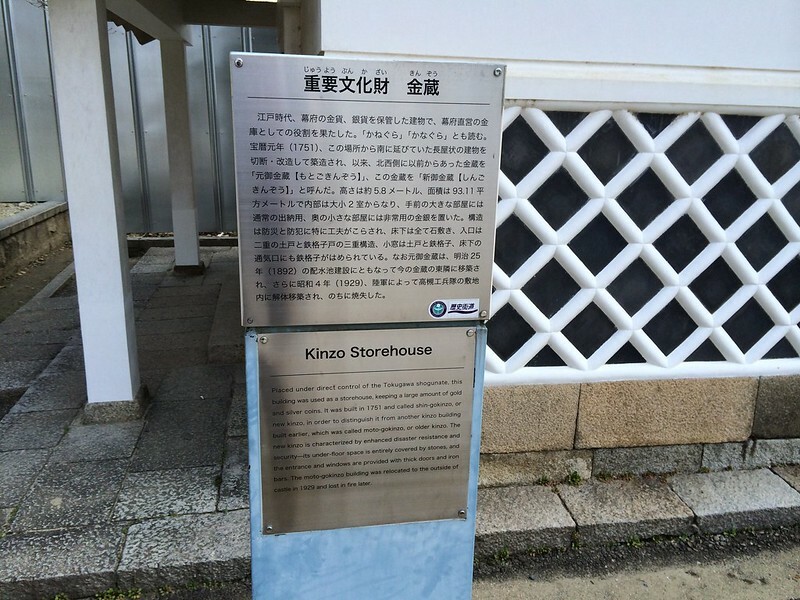 The new kinzo is characterized by enhanced disaster resistance and security--its under-floor space is entirely covered by stones, and the entrance and windows are provided with thick doors and iron bars. The moto-gokinzo building was relocated to the outside of castle in 1929 and lost in fire later.